Steven T. Davis is an Associate at Lax & Neville LLP. He assists with the representation of individual investors in their claims against brokers, broker-dealers and wealth managers for abusive customer sales practices, such as fraud, churning, unsuitability, and breach of fiduciary duty. He also assists with the defense of various bankruptcy clawback actions, specifically those involving the victims of Bernard L. Madoff Securities. In addition, he assists with the representation of brokers and other financial services professionals in a broad range of employment matters, including transitions between firms. Steven graduated from Tufts University with a bachelor’s degree in qualitative economics. 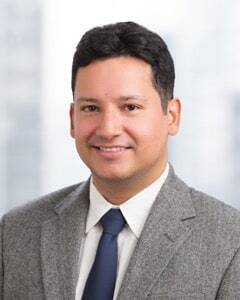 He attended and graduated from Hofstra University School of Law, where he participated in the Business Law Society and NITA Trial Skills Program. He has held internship positions with the Los Angeles County District Attorney’s Office and various law firms specializing in criminal defense as well as business litigation.